Saudi Arabia and allies who severed ties with Qatar and imposed blockades on the Emirate have extended by two days the deadline of the 13-demand list handed over to Doha to be fulfilled as condition to end the isolation, Saudi official news agency SPA reports. The agency Monday said the four countries; namely Saudi Arabia, United Arab Emirates (UAE), Bahrain and Egypt; agreed upon Kuwait’s request to postpone the deadline originally taking effect on Sunday by two days. Kuwait’s ruler Sheikh Sabah Al-Ahmad Al-Jaber Al-Sabah reportedly informed the four countries that Doha had confirmed to him that it would send on Monday its official hand written response to the list of demands it received on June 23. 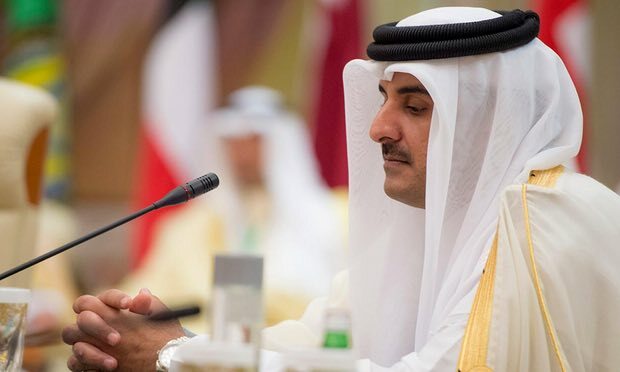 Among other demands, Doha is asked to curb diplomatic ties with Iran, suspend Turkish military deployment in Qatar, shut down its news network Al-Jazeera and stop funding individuals and organizations blacklisted as terrorists by the four boycotting countries. Speaking from Washington, Saudi foreign minister al Jubeir pointed out that Qatar’s isolation is ‘painful but necessary’. “We presented our list of demands to Qatar and clarified our position and took our decision, and the list of demands is non-negotiable and must be fully enforced,” he added. Waleed Abdulkarim Al-Hurayji, Saudi ambassador to Turkey has revealed that his country and other boycotting countries suspended ties with Qatar because the tiny emirate failed to fulfil several agreements reached with other members of the Gulf Cooperation Council (GCC). Hurayji, in an interview with the Arabic version of Turkey’s Daily Sabah, said that Saudi Arabia, United Arab Emirates (UAE), Bahrain and Egypt decided to severe ties with Qatar after Doha’s reluctance to meet commitment it made over several years. “For the past 20 years, we have established dialogue with Qatar, and Qatar made various pledges, with the most important one being the 2013 Riyadh Agreement and the commitments pledged in the 2014 agreement,” Hurayji noted in the interview. The Saudi official also pointed out that Riyadh has presented a list of suspects posing a threat to Saudi Arabia and other Gulf nations, including the United Arab Emirates (UAE), Bahrain and Egypt, but Doha failed to take action against them and even offered them shelter, Daily Sabah reports. The bloc, on June 9, issued a list of 59 individuals and 12 entities claiming they are terrorists funded by Qatar. Hurayji however noted that the bloc is opened to dialogue as requested by Qatar. “However, we affirm that we do not reject dialogue as long as it is constructive and productive” Al-Hurayji added.